This Belleek angel was introduced in 2016. 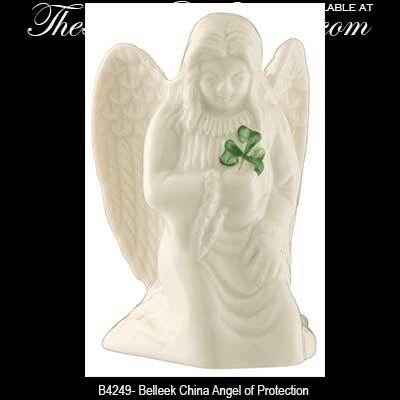 This cute kneeling guardian angel from Belleek is the Irish Angel of Protection and she is hand crafted in Belleek, Ireland of fine china. 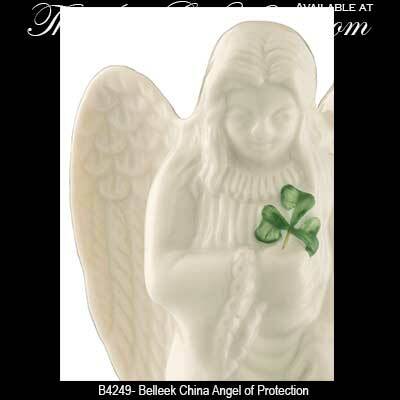 This Irish angel features Belleek's hand painted green shamrock and measures 2 1/4' x 2" wide x 3 1/3" tall. This Belleek figurine is suitable as an Irish baby gift and she is gift boxed with a shamrock history card, complements of The Irish Gift House.